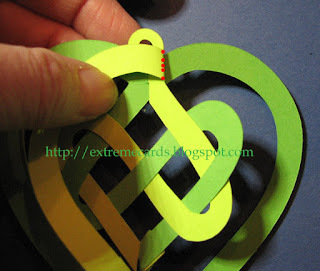 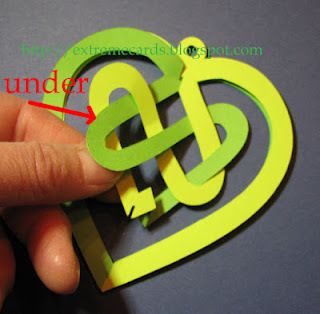 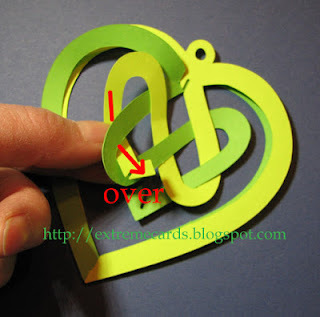 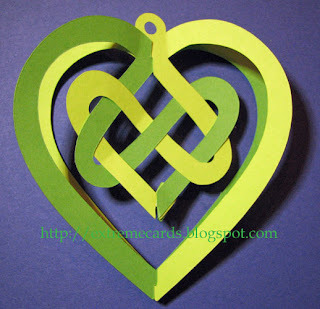 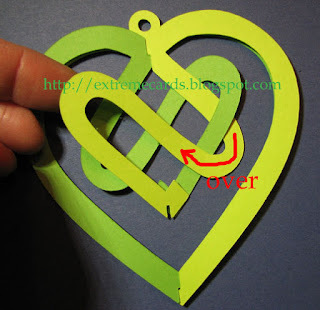 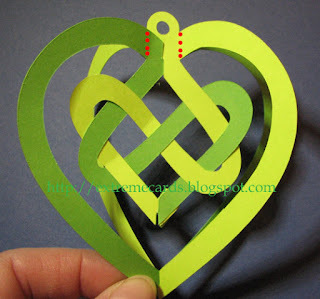 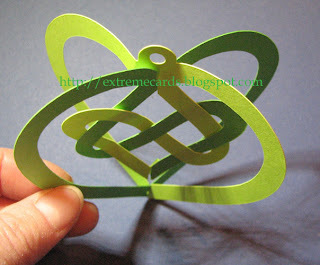 Sort of a sliceform, sort of a pop up--a hanging 3d valentine heart with a Celtic (Irish) knot woven into the center. 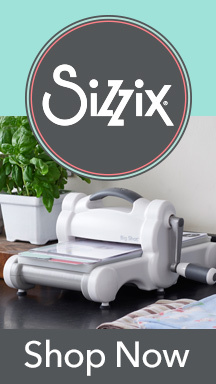 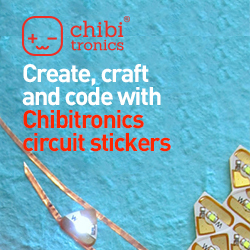 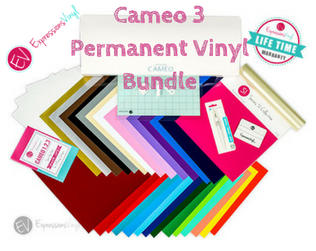 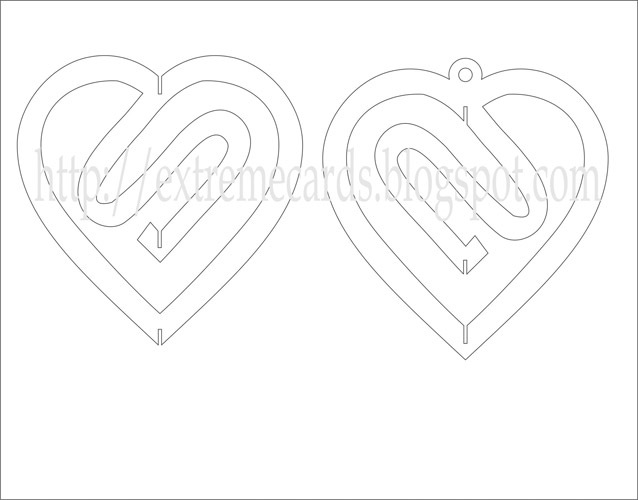 Download cutting file set: SVG, PDF, studio. 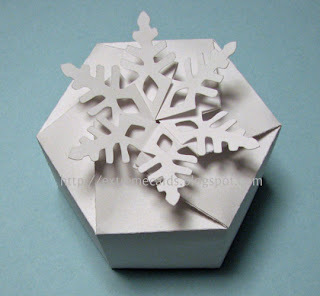 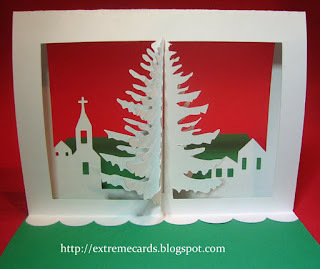 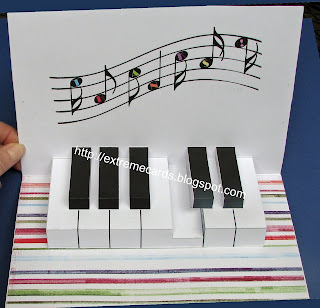 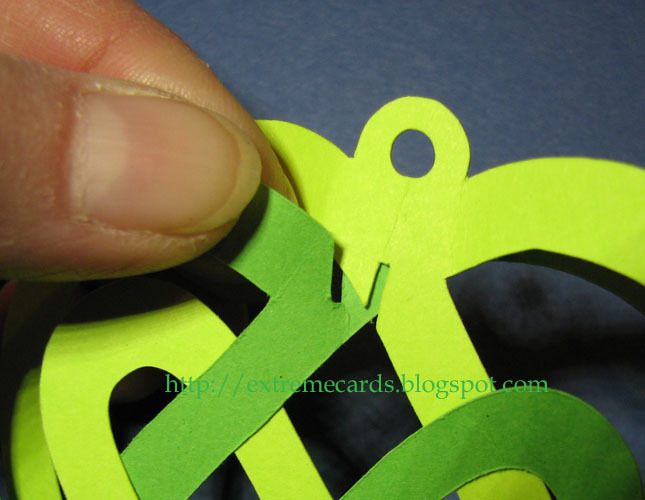 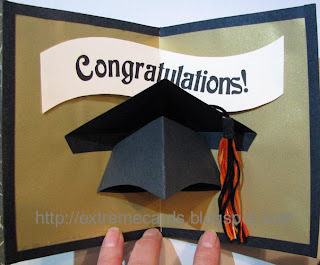 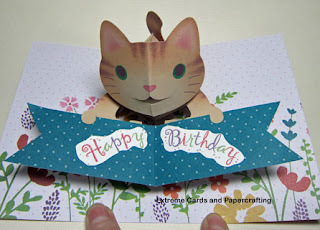 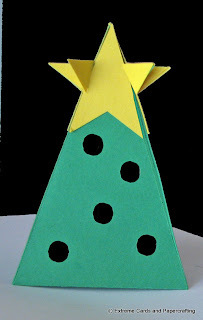 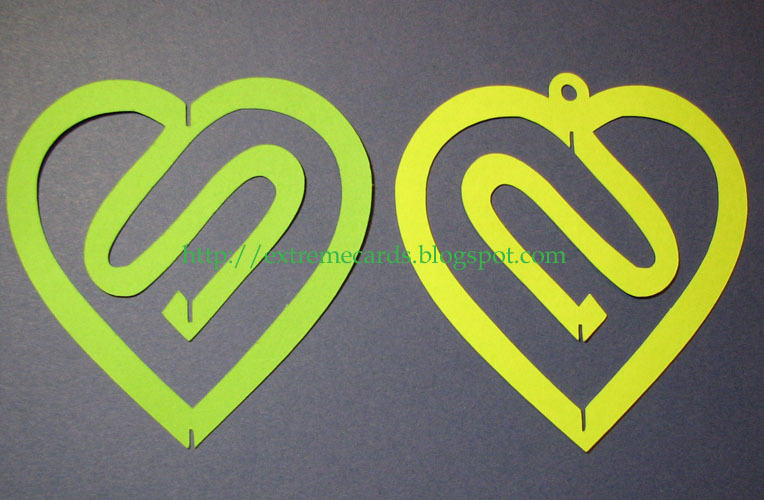 Cut out the two pieces from contrasting colors of cardstock. 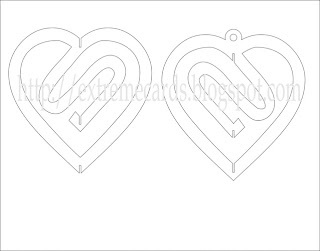 Slot together the bottom points of the two hearts. 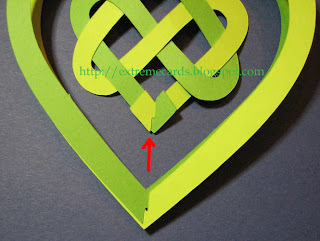 Slot together the top centers of the hearts. 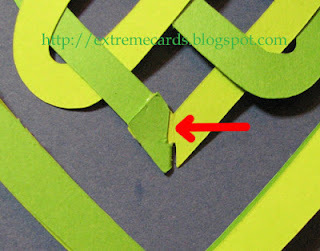 Weave together the center portion. Weave one of the knot loops over and under the other knot loop as shown. 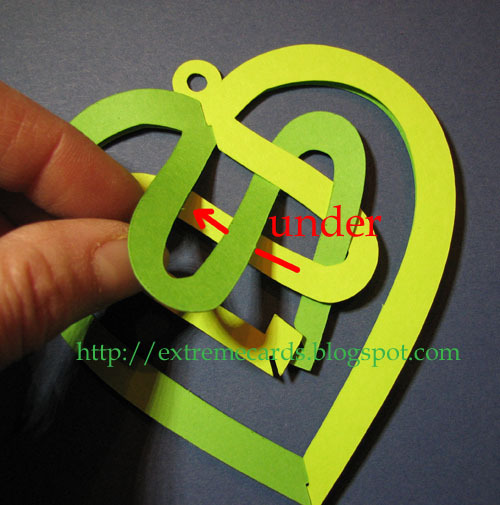 Pull the end out from underneath. 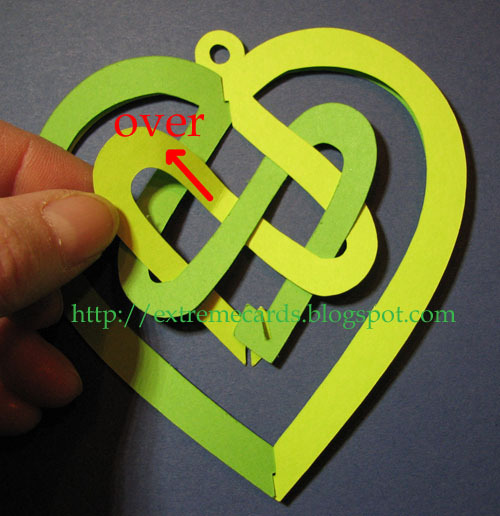 Stick the end up through the last loop. Slot together the two knot loops at the bottom of the knot heart. 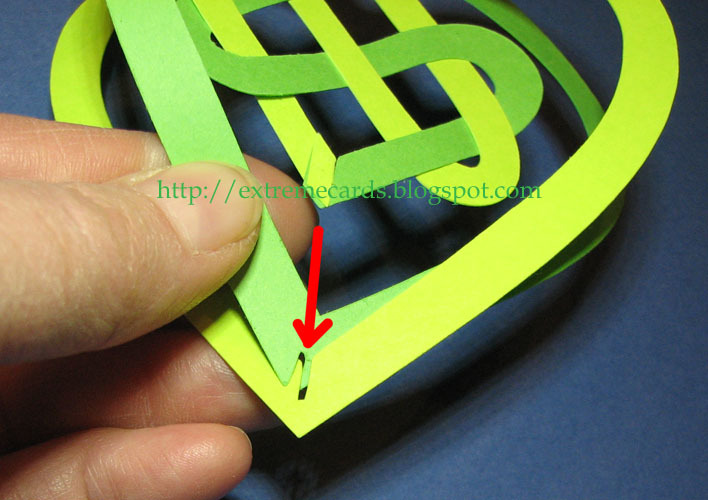 Push both tabs to one side and glue if you prefer. Crease both hearts at the top, vertically, on either side of the hanging loop. 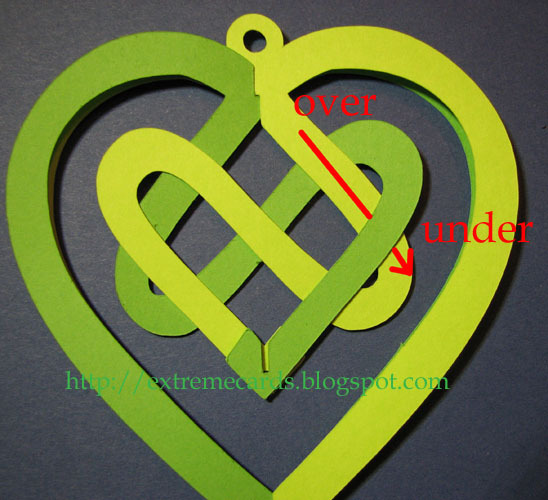 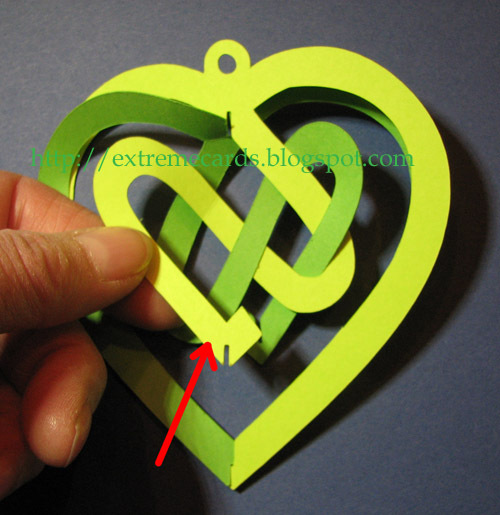 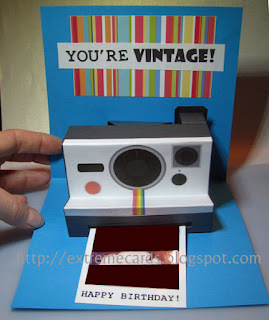 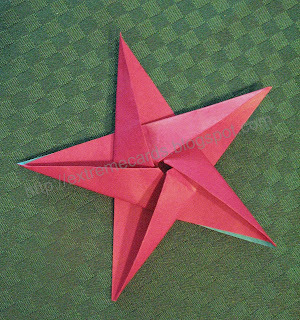 This makes the heart frames stand out at right angles to each other.